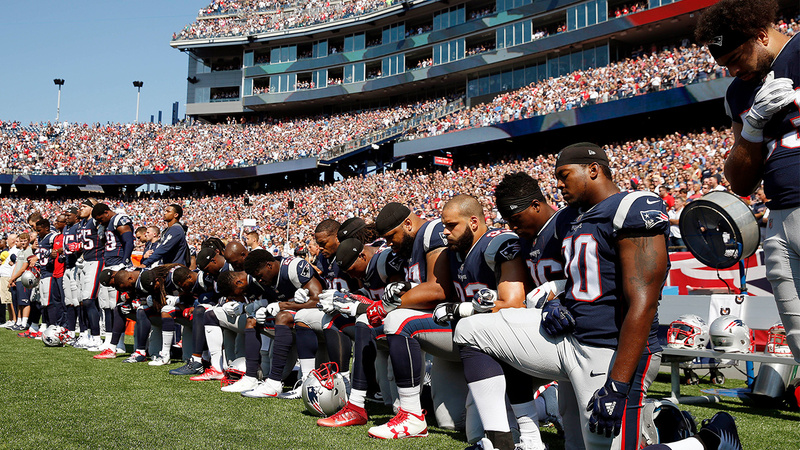 Roger Goodell: "Everyone should stand for national anthem"
NEW YORK -- NFL owners will meet next week to consider changes to a game manual that says players "should" stand during the national anthem, a guideline that the league has left to the discretion of players who kneeled in larger numbers after criticism from President Donald Trump. Commissioner Roger Goodell told club executives Tuesday in a memo obtained by The Associated Press that the anthem issue is dividing the league from its fans. He said the NFL needs "to move past this controversy." NFL spokesman Joe Lockhart said the policy will be "front and center on the agenda" when owners meet in New York next Tuesday and Wednesday. The movement started by former San Francisco quarterback Colin Kaepernick last season had mostly subsided when Trump told a rally in Alabama last month that owners should get rid of players who kneel during the anthem.